Challenging the Historiography of the Rashidun Caliphate? Tayeb El-Hibri. Parable and Politics in Early Islamic History: The Rashidun Caliphs. New York: Columbia University Press, 2010. xi + 471 pp. $60.00 (cloth), ISBN 978-0-231-15082-8; ISBN 978-0-231-52165-9. This study is dedicated to the historiography of the Rashidun caliphate. El-Hibri states at the outset, that his goal was to "argue for an alternative reading of this history as a largely parabolic cycle of literary narrative" (p. ix). The monograph consists of eight chapters. Within the structural framework of the introduction (chapter 1) and conclusion (chapter 8), the main body of the book is organized chronologically, from the succession of the Prophet (chapter 2) and the reigns of 'Umar (chapter 3) and 'Uthman (chapter 4), through the events that led to the civil war (chapter 5), 'Ali's caliphate (chapter 6), and the rise of the Umayyads (chapter 7). Each chapter discusses various events related to the relevant period and examines their depiction in different narratives. These depictions are usually derived from historical sources (mainly al-Tabari) and religious literature (such as al-Bukhari).Then, El-Hibri discusses these narratives through their connections with other texts (biblical, Qur'anic, or Islamic prophetic narratives); or to events in Islamic historiography, either earlier (e.g., biography of the Prophet) or later (e.g., events in the 'Abbasid period). Such connections are suggested through thematic or linguistic links, such as common keywords or motifs, as well as through direct comparisons sometimes made in the sources. In order to reinterpret the available Islamic sources for the Rashidun period, El-Hibri suggests viewing this material in the wider context of Islamic historiography and applying a literary approach. In so doing, he claims to be following earlier revisionist studies of the past decades, especially in the field of religious studies; however, no specific references are given for these. The texts, he argues, should not be read on a literal level alone, as representing the historical events of that specific time in Islamic history; rather, they should be analyzed using literary tools, such as intertextual readings with biblical and Islamic narrative and parabolic paradigms. Such readings, El-Hibri argues, would reveal additional themes relevant for the 'Abbasid period, such as, for example, the question of succession (e.g., of Harun al-Rashid); the scope of central government; or the reduction of revolutionary messianic elements. Indeed, El-Hibri suggests that the history of the Rashidun and of other early rulers should be regarded as background for reading 'Abbasid history. This approach is justified in that most classical sources for the Rashidun period date from the mid-ninth century, and thus the events and spirit of the early 'Abbasid period should be considered when analyzing representations of the Rashidun period. El-Hibri stresses the uniqueness of this approach, in contrast to other historical studies that consider the Rashidun period as a subject to be studied in itself. El-Hibri, on the other hand, while regarding the historiographical narratives regarding the Rashidun period as historically valid, emphasizes the significance of applying intertexual and literary approaches to these texts to complete our understanding of them. For El-Hibri, the starting point of Islamic historiography is the genre of the stories of the prophets, since Islam is a continuation of earlier forms of monotheism (p. 1). The sources used by Muslims narrators include biblical accounts, sometimes modified, and other texts within the Islamic textual tradition. Therefore this historiography should be read as reflecting biblical patterns of tragedy and Qur'anic paradigms of biblical stories as parables. A main paradigm in this context would be that of sin and punishment, which is demonstrated, for example, through the use of the term fitna. This term, which is commonly used in relation to the fall of 'Uthman, can be traced back to the fall of Adam and Eve (pp. 4-5). The use of such textual structures might be useful for reflecting and relating to events both prior to the Rashidun times, as well as to later periods, such as the Umayyad and 'Abbasid eras. These styles of parabolic narrations, El-Hibri suggests, were the basic narrative used by both Sunni and Shi'i writers, who later processed these texts to suit their theological agendas. Thus, these earlier narratives are not one-sided, but contain what can be perceived as both Sunni and Shi'i perspectives. Since both orthodoxies used the same basic narratives, which they later processed, the original texts portrayed key figures as round ones, rather than as completely "good" or "evil." El-Hibri further argues that there was a unified story of the events of early Islam, which had a specific plot; its manifold meanings were represented intertextually when read with other texts (p. ix). This argument, however, needs further support than demonstrated in the present work. He suggests that during the ninth century, the accounts regarding the Rashidun period became fragmented, and the meanings (political, polemic, etc.) of the unified narrative became vague. This was because Sunni and Shi'i orthodoxies narrowed the historical narratives into factual reports; but it was also due to generic differences that developed around this time. According to El-Hibri, the Muslim historiographical sources use biblical models of messianic cyclical history in their presentation of the companions and their struggles for political power. Parallels are made between their lives and the lives of earlier prophets. However, this theme of parabolic biblical paradigms was blurred in the literature. El-Hibri explains this generic difference in the need of hadith compilations to maintain the positive image of the companions and hence their authority as transmitters of prophetic hadith and sunna (pp. 8-9). He thus stresses the significance of using various genres in the research of early Islam, rather than a single genre, which he criticizes as the compartmentalization of Islamic studies (p. 18). El-Hibri argues that the story of the Rashidun period is best understood as a reflection of themes relevant to ninth-century 'Abbasid society, the time during which the main historiographical sources were narrated. This view, however, seems somewhat problematic, both in light of the above argument regarding the texts as having been created, and losing some of their meanings, during the ninth century; but also as the application of this view throughout the book is not systematic, and is only demonstrated to a limited extent. Some of the narratives that are discussed are indeed understood as reflecting 'Abbasid themes--for example, the similarities between the descriptions of the consultations regarding caliphal succession in 'Abbasid time, and those of Harun al-Rashid in regards to overthrowing the Barmakid family (p. 68). But, in many other cases, the parallels made are with biblical or sira stories and themes, with no particular reference to the 'Abbasids. 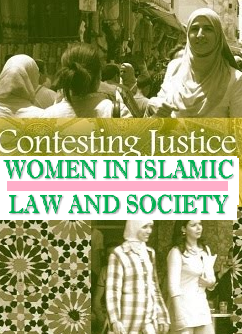 For example, when discussing the reign of Abu Bakr (chapter 2), El-Hibri indicates several themes that are prevalent within the existent narratives, such as the negation of women's involvement in politics; the portrayal of Abu Bakr as similar to the Prophet Muhammad; the depiction of Abu Bakr's character as soft (an investigation into the possible motives for portraying him in this light would have also been of interest); and the continual symbolic identification of the leader of prayer as the leader of the community. While intertextuality to various events during the Rashidun period is indicated here (p. 40), little connection is demonstrated to the 'Abbasid period. The case for the 'Abbasid context for reading Rashidun texts seems stronger, though, in some other parts of the monograph. In the case of 'Umar, for example, his image as the keeper of law is to be understood, according to El-Hibri, through the use made of this image by later 'Abbasid caliphs and jurists in gaining legitimacy for political practice (p. 79). 'Umar is understood as representing the Arab element of the Islamic state, and the identification between Islam and Arabism, whereas 'Ali is taken to represent, to an extent, the Persian element, and the significance of the relationship between these two elements for the 'Abbasid caliphate is well known. The Arab image of 'Umar is further stressed in chapter 7, where it is used as a point of reference for the discussion of the rise of the Umayyads. El-Hibri's comment that the theme of 'Umar's Arabism is easily overlooked (pp. 84-85) seems a bit odd, though, as 'Umar was well known in the sources for discriminating against non-Arab Muslims financially. It would thus indeed seem useful to read the Rashidun narrative in the wider context of Muslim historiography, so as to gain a fuller understanding of these texts and their meanings; however, such meanings should not, perhaps, be taken as entirely dependent on the framework of the 'Abbasid period. Similarly, the theme of biblical parables, which El-Hibri considers as underlying the companion-related narratives as a whole, is in some cases well demonstrated, whereas in other places it is less so. So, for example, Ka'b al-Ahbar's conversation with 'Umar about the Israelite king and the warning prophet, a story that was used to inform 'Umar of his forthcoming death, is correctly related to the biblical prophet Nathan (pp. 114-115). However, the king in this context is better identified with David than with Solomon; and a further analysis of this parallel would have been of much benefit, as Nathan informs David of the forthcoming tearing of the kingdom from his heirs, similar to El-Hibri's understanding of 'Umar's actions as leading to and foretelling the rise of the Umayyads. In another case, however, the parallel drawn between the preconquests Arab delegation to Persia and the Israelites in front of Pharaoh (p. 89) is again of interest, but would have been better supported by a textual reference. In terms of sources, this monograph makes strong use of both historical and religious primary sources, both historical and religious, to support its arguments. The presentation is easy to follow, as it is mainly chronological, and follows the main events connected to the Rashidun. But the extensive citations within the text of full narratives from primary sources make the discussion and arguments more difficult to follow. A more ordered presentation of the author's main statements and arguments would have helped as well. The glossary at the end explains basic terms such as sunna and fitna, and suggests addressing a more general audience, such as students and/or the general public. However, the many unexplained and/or untranslated references to Arabic terms and phrases would make it a challenge for such an audience. Further, it might have been useful, in a literary study that focuses on al-Tabari, to also refer to Boaz Shoshan's deconstructionist reading of this source in Poetics of Islamic Historiography: Deconstructing Tabari's History ( 2004). As for methodology, El-Hibri defines this work as a revisionist reading of the early medieval Islamic chronicles, in a way that challenges both Muslim traditional versions as well as academic understandings of the history of early Islam (p. x). While his suggested reading can certainly expand this understanding, as it suggests additional levels of meaning for the texts, "challenging" may be too strong a word. 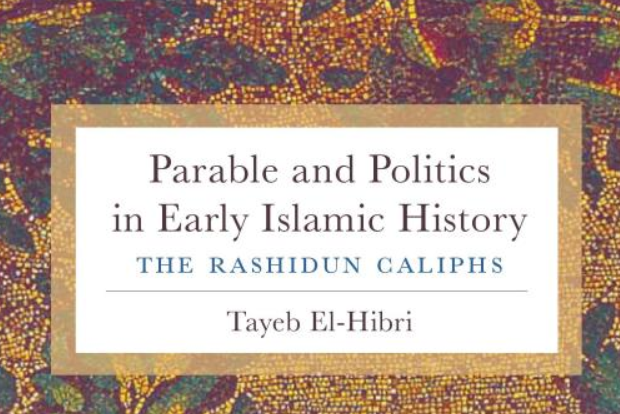 For, while El-Hibri accepts that the "pivotal political events" of the Rashidun period "are true as told" (p. ix), it remains unclear to what extent he reads these texts as historically valid, and which criteria he follows. For example, whereas he maintains that there is little reliable information on how Abu Bakr charted his policies (p. 62), he also holds that al-Tabari's narrative of the assassination of 'Umar "does not seem to lack a credible context" (p. 110). These and similar statements are not explained, or supported by further evidence. This work is valuable as it emphasizes the benefits of applying a literary approach to historiographical literature that is generally perceived as historical. In applying an intertextual reading to presumably historical texts, additional meanings are often revealed, giving additional significance to an otherwise flat text.